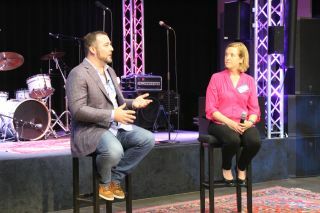 The AVIXA Women Dallas Group hosted its latest meeting at Sound Productions. The event focused on networking, pro AV trends, and included a tour of SoundPro's facility. The next AVIXA Women's Council Dallas Group meeting will be announced shortly. For more information, contact Christy Ricketts at christy@crwww.com.